The scant rain that has graced Champion in recent days together with a little fog and mist has worked its magic on our brittle brown fields. They now have the softest hint of a green underlayment which gives rise to a little optimism. Even in this stressed state, distant vistas are magnificent as the hills roll and fold in upon each other with their subtle shades of beige and gold. The speculation was that we would have snow before real rain played out, though there was not much snow either. Holiday decorations along the highways and country lanes are a treat for nighttime travelers. Some folks put a lot of money, time and thought into their displays. Others just run the same string of lights they have used for years along their porch rails and posts. The effect is dazzling on a dark night drive. A cold Christmas Day did not diminish the joy of family and friends together feasting and relishing fine company. Who knows what wonders the New Year will bring! 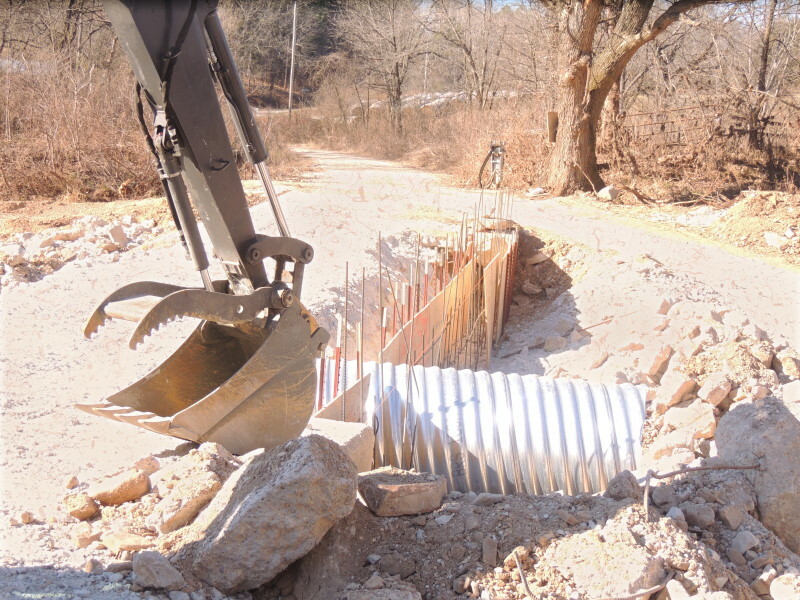 Bridge construction over Fox Creek in near East Champion goes on at full bore. Concrete trucks had pumped 12 yards on Tuesday and it looks like the 32 or so yards for the next phase arrived on Thursday. Construction on the downstream side is underway and locals will be interested to see just how the bridge builders proceed. The new tinhorn shines in the sun. It is about 4 feet in diameter. FEMA wants the bridge to be just the way it was before the flood, so the additional two tinhorns that it would take to adequately handle a deluge will go wanting. The East Champion By-Pass will disappear with the opening of the bridge. The information that has come to light so far about Dave Simpson is that he was just a very nice man. His family made a substantial donation toward the construction of the last bridge over Fox Creek and the little stone to acknowledge the good life of their loved one stands yet. He is buried up at Denlow. TCN will be glad for any more information about him. champion@chamionnews.us or TCN Rt. 72 Box 367 Norwood, MO 65717. Our rural mail carriers, really all the post office workers, are under pressure this time of the year. The added parcels and Christmas cards bring joy to the recipients and maybe headaches to the folks doing the delivering, but they do not complain. If you have not left some cookies in the mail box or a thank you note for their hard work and dependability, there is still time before the year is over. Thank you Karen Ross! We are grateful for Karen and for the U.S. Postal Service. Many an Old Champion is also grateful to Franklin D. Roosevelt who signed the Social Security Act in 1935. By 1937, 53,236 people received a total of $1,278,000. In 2017 there are nearly 62 million Americans who will receive approximately $995 billion in Social security benefits. Somewhere along the line, about LBJ’s time, the government started borrowing from the Social Security Trust Fund. Now they owe ‘us’ about $2 trillion. It is all very interesting and bears some study. Everyone will have his own opinion about tax reform. These are exciting times and very reminiscent of about 1928. Watching “It’s a Wonderful Life” again on Christmas Eve it was as heartwarming as it first was back in 1947—a very sweet film. An Old Champion pointed out that while the generosity of the fine citizens of Bedford Falls kept George Bailey from scandal and prison, Mr. Potter did not return the $8,000.00. Sometimes a shenanigan might escape notice when we are distracted. 86 45. Look at old Mr. Potter for a good example of bad behavior. A card from Minnie J. Henson informs that Royce Henson had hip surgery on December 13th. It was their 59th Wedding anniversary. Jody said that it was their gift to each other. He is working hard three hours a day in a rehabilitation hospital and may be able to come home in time to celebrate the New Year. It all started back on November 20th. Royce had been mulching leaves all afternoon and he fell in the driveway as he got off the mower. He did not know his hip was broken. “Even cycled a week later…then got worse.” She said that it was his first time in the hospital overnight at age 84. Royce is a tough customer—it must be his Champion upbringing. Thursday evening found the crowd singing at Vanzant. The birthday card said, “Where the deer and the antelope play, they play, ‘Happy Birthday, dear Jerry!’” and so it was. The 27th is the special day for Boy Howdy of the Howdy Boys. The 29th is the birthday of Skyline fifth grade student Logan Hill. We remember that lovely Joann Anderson celebrates on Christmas Day and The General on 31st or sometime or all the time. Come down to the wide, wild, wooly banks of Auld Fox Creek for some pleasant socializing and the opportunity to end the old year or begin the New Year with optimism. “Should auld acquaintance be forgot” in Champion?—Looking on the Bright Side! VFW District 18 Commander Russell Olewinski congratulates Skyline R-2 School’s Mr. Prock on having been nominated for the Smart/Maher VFW National Citizenship Education Teacher Award. 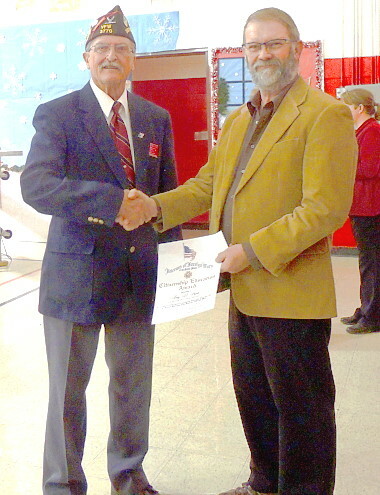 Skyline R-2 School’s Mr. Prock was honored by the Veterans of Foreign Wars as one of three exceptional teachers in District who are being considered for the Smart/Maher VFW National Citizenship Education Teacher Award. Acknowledgment comes with certificates, plaques and financial awards for the teacher and the school as well. Russell Olewinsky, VFW District 18 Commander, made the announcement at the beginning of the pre-kindergarten to 8th grade Christmas Music and Band Program on Thursday evening. The program was entitled “Glorious” and it was. The community came out in great numbers and was well rewarded with another splendid program directed by Mrs. Downs and Mrs. Casper. The talented children always do a good job at these performances and to have such strong neighborhood support is most encouraging. Even if your children are grown and gone and you have no grandchildren in school at Skyline, there are volunteer opportunities that will throw you right in the middle of the youthful exuberance that will help you stay young. Alternately, the Skyline R-2 School Foundation accepts financial donations in any amount. Contact the school at (417) 683-4874 to find the best way for you to help these 100 or so young country kids get a good start in life. Champions! A bunch of trail riders decided to make an excursion from Vera Cruz over to Champion on Saturday. When it was time to leave, it was about 18 degrees and there were four riders ready. Andrew Hardin rode one of Bud Hutchison’s horses, Jim Bob. Hershel Letsinger rode Andrew’s horse, Cloud. 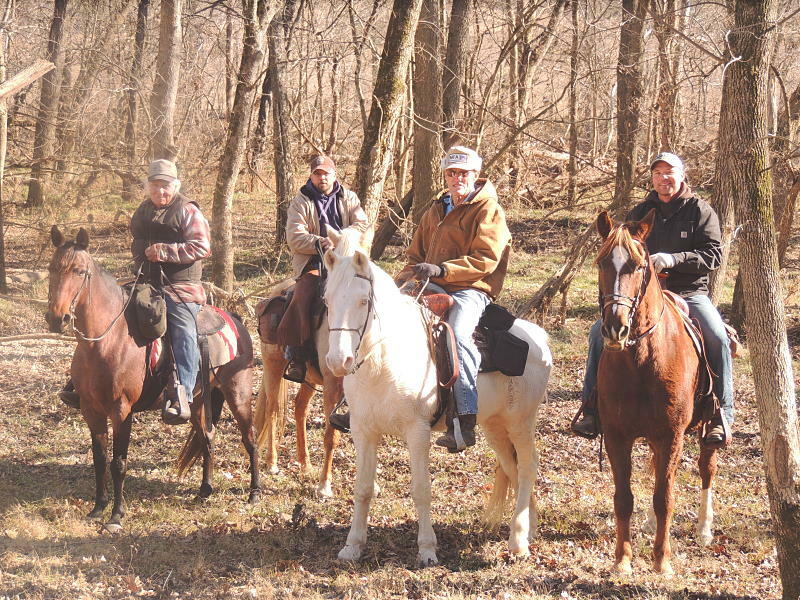 Jeff Alcorn was on Lace and Gary Braden, from over near Bradleyville, was on his horse, Ruby. They made good time and were glad to get the broad, brushy banks of Auld Fox Creek. They enjoyed themselves around the wood stove in the Re-creation of the Historic Emporium, where they had a good lunch and a restful interlude of visiting and yarn spinning before they hit the trail again. Mr. Letsinger had just received a beautiful ornate belt buckle in the mail. It signified that he had completed ten National Trail Rides. He said it turned out to be a fairly expensive buckle—but it sure is pretty. If the East Champion Fox Creek Bridge (ECFCB) is going to be done by year’s end, those fellows are going to have to get seriously busy. It is not as if there is an imminent torrent for which they have to prepare. Most likely they have other irons in the fire across the county. 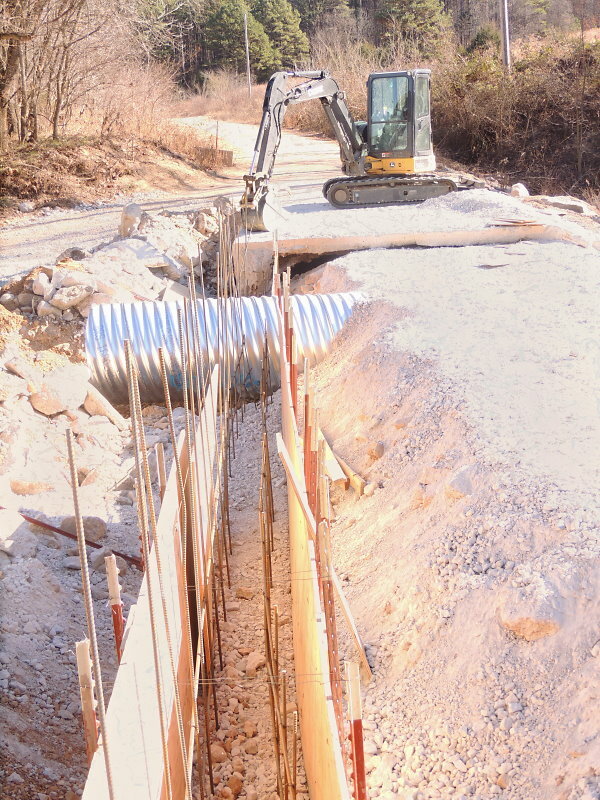 The upstream side is formed up nicely with lots of t-posts, plywood and rebar. The tinhorn is ready for action and people who drive around the bridge by-pass (the East Champion By-Pass) to get to Champion have plenty to discuss with each other about the details of the construction as well as the speed of the operation. The little marker by the tree on the west side of the bridge says the previous permutation had been dedicated to Dave Simpson (1934-1993) by his friends and family. Perhaps some reader will share the story of Dave Simpson. Send it to The Champion News, Rt. 72 Box 367, Norwood, MO 65717 or to champion@championnews.us. Everyone is not celebrating. There is struggle, war, tragedy, suffering, silence, indifference, greed, intolerance and rancor the world over. Champions do not subscribe. The dreary day on Sunday was welcomed with glee by rain starved Champions. True, not much rain fell, but every drop that landed washed up some pragmatic optimism. When talking about prospective Christmas gifts, a young granddaughter once said, “You get what you get, and you don’t pitch a fit.” That smacks of a good upbringing and the ability to make the best of what may not always be the most ideal situation. 86-45. That is kind of the way it is about the weather. A Wednesday visitor to the Bright Side said that back in the fifties it was dry like this for two or three years. He said that folks up in Wright County would tie the sassafras trees over so the cows could reach them. Other people cut the trees down to feed the cows. Those who had just tied them over saved their trees for the next year. There are probably several Champions who can shed light on how it was back then. There is much to be learned from our predecessors, but how to get along in hard times might be some of the most useful information. It is amazing how well folks used to do with so little–a clear definition of resourcefulness. In these days of much and plenty, particularly at this time of the year, a reflection on what is truly important is worth the time. It is delightful to be gifted with the latest gadget or stylish garment, but Champions do not confuse “things” with love. The best thing we have to give is our time for our family, our friends and our neighbors. 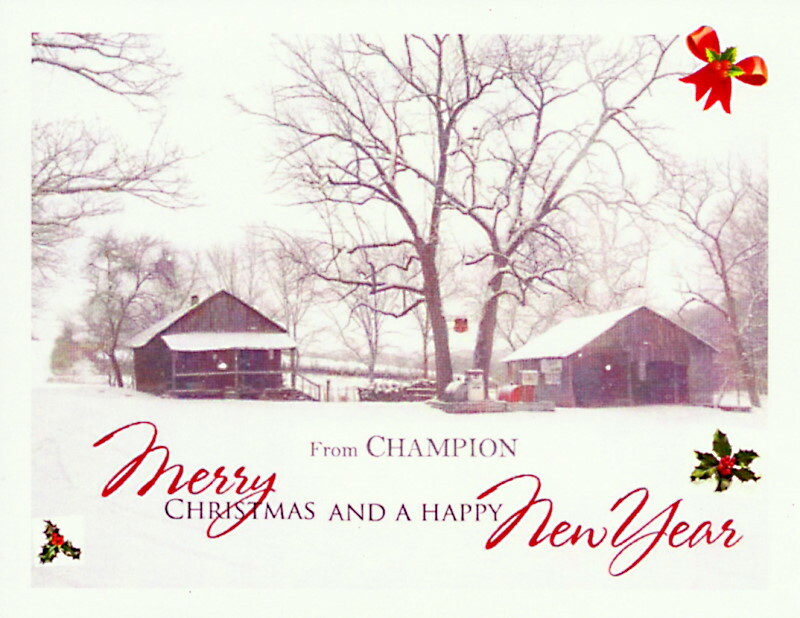 “Good tidings we bring to you and your kin—we wish you a Merry Christmas and a Happy New Year” in Champion—looking on the Bright Side! and Andrew Hardin on Jim Bob head back to Vera Cruz. The north side bridgework progressing. The chief meteorologist at the Vanzant Weather Burro (not Bureau) is predicting an extremely cold winter. On Friday he reported seeing a caterpillar wearing a hooded sweatshirt and ear muffs. A distant relative has wooly worms so fuzzy their feet don’t touch the ground and they just roll around in the breeze. We have breeze but no rain. 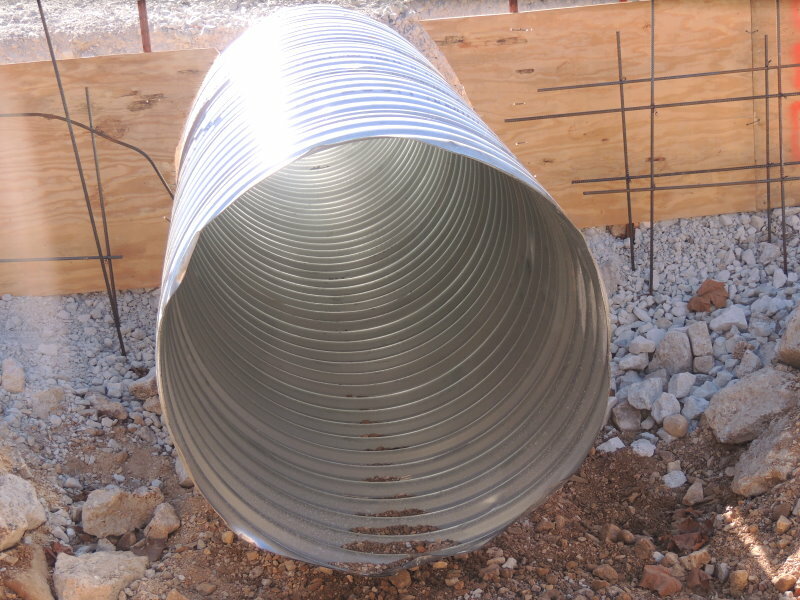 Rain might be waiting for the East Champion Fox Creek Bridge to be finished. The cold may hamper the progress, but the current, clear progress with no rain in the forecast for the next couple of weeks, may well “git ‘er done, Sis,” and then we can all wash our trucks. A note from the Missouri Department of Conservation concerning the dry weather and fire danger recommends that landowners make a defensible space of 30 feet around homes and structures where fuels and vegetation are treated, cleared or reduced in order to slow the spread of a wildfire. The defensible area also provides firefighters room to maneuver as they make a stand against fire. Champions are grateful to live in such a beautiful part of the world and grateful for friends and neighbors who volunteer as fire fighters to protect our homes and lives. Destiny Surface, a 5th grade student at Skyline R2 School, shares her birthday on the 20th with Rachel Prock, a kindergarten student there, also with sweet Mary Goolsby who attends the Vanzant jam regularly. The 21st is a special day for Chris Dailey, Archie’s girl. It also marks the day when a favorite fiddler will enter his 9th decade. He and Lena have been married sixty years. They will be the same age until May. The 22nd is for very young Oliver Cohen’s Dad. Chase Cauthron, a prekindergarten student at Skyline, has the same birthday as his dear old Dad, and as Butch Stone and as Sharon Sikes. These birthdays, Chanukah and Christmas altogether make for a festive season. There are parties and gatherings and music jams going on all over the place. Christmas lists include the latest gadgets for some, bling for others, necessities for modest folks and, among all, the hope of health and happiness for all ourselves and all our precious dear ones. Peace on Earth and good will toward men is a Champion wish. Again the first Christmas card of the season came from the Freemans, Wesley and Karen. Karen hand-makes cards and writes they are still kicking in Texas and celebrated their 52nd anniversary November 23rd. Karen’s sister, Daisey Delgado, lost almost everything she had in Hurricane Harvey—personal things, house, furniture, motorcycles and trucks, but still she is grateful. This was the costliest tropical cyclone on record, inflicting nearly $200 billion in damage, primarily from widespread flooding in the Houston metropolitan area. That was just back in August. Time flies and they will be a long time recovering. Another card comes from J.C. Owsley up Cross Timbers way. He grew up (way up) over near Crystal Lake. He encourages: “Thank you for adding sunshine via The Champion News on-line.” Friends like to see his photographs taken from behind the ears of a big white borrowed mule or one of his handsome saddle horses. Maybe he will make it back for one of Bud Hutchison’s trail rides next year. Bonnie and Pete Mullins, living in Douglas, Kansas now, also get news at www.championnews.us and say in their card they are looking forward to having Christmas with their son and his wife. We are hoping to see them next Denlow School Reunion. They did not make it this last time and were much missed. They have until May to get ready. Merry Christmas back at all you lovely folks. Watching the news and sitting around the table visiting with friends and family about the current state of affairs, the question comes up, “How it is that good people, with each of the opposing political points of view, wonder how so many are under such strong delusion to believe a lie?” 86 45. We are reminded that it takes both wings for the Eagle to fly. Show and Tell at the Wednesday Champion Soiree is more interesting as time goes by. Among all the things that have been brought to share, the best of all (according to one) was a mandolin banjo. The guy that owns it does not play it. He bought it (cheap) years ago and only recently paid $20.00 to a local luthier to have it restrung. It is a lovely little thing and it languishes on a shelf, not played, while the guy collects other items that he values more. Hopes are that he will bring it back to the Historic Emporium again soon for a communal musical. Carnegie Hall held a hootenanny organized by Pete Seeger back in 1962. Robert Zimmerman performed a song that lasted ten minutes. It starts out, “Oh, where have you been My blue-eyed son? And where have you been my darling young one?” And goes on to say, “I’ve stumbled on the side of twelve misty mountain/ I’ve walked and I crawled on six crooked highways, I’ve stepped in the middle of seven sad forests” and winds up “It’s a Hard Rain’s A-gonna Fall” in Champion—Looking on the Bright Side! 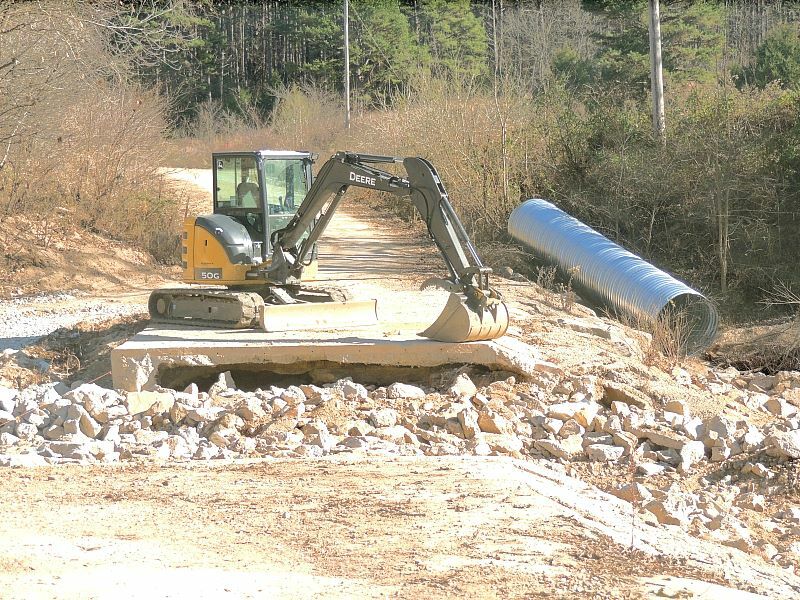 Work progresses on the East Champion Fox Creek Bridge. With the specter of Christmas looming large, Champions are still reveling in the memories of a lovely Thanksgiving. After the feasting an Old Champion Uncle shared the accomplishments of his niece, Kelly Cox. She is the creator of The Original Fare, a PBS Food program where she “hunts, forages, and farms her way across the globe to search for the best ingredients our planet has to offer.” She has Missouri roots and a perspective on food that is eye-opening. Look for it at www.theoriginalfare.com and be prepared for some real adventures and surprises. Another of Kelly Cox’s Champion Uncles reports that hearings are underway and a decision will be made soon about whether to keep or sell the Bryant Creek State Park, one of Missouri’s newest. It is a beautiful and diverse property in eastern Douglas County. He says, “It’s a jewel of the Ozarks, and one of the most rugged landscapes in the state.” Another Old Champion Uncle enjoyed the return engagement of Boy Howdy and the Howdy Boys featuring Rattlesnake Slim and Frankie Midnight. They played the Friday night soirée including some familiar pieces like “The Old Home Place” which has the refrain, “Why did I leave the plow in the field and look for a job in the town?” They also shared some eclectic Bulgarian and Albanian tunes, enthralling family, friends and neighbors. Among myriad reasons to be Thankful are Old Champion Uncles. Kaitlyn McConnell is off in Ireland and posted a picture on the internet of musicians in a pub playing with the same enthusiasm (and some of the same tunes) as those folks at the McClurg jam. It is a small and beautifully melodic world. People with birthdays in December sometimes feel disadvantaged, having been given money for their birthday with the expectation that they spend it on Christmas gifts for others. That wonderful feeling of giving might compensate for not having a real birthday. (Perhaps they should choose a random day earlier in the year and just lie about it being their birthday. It is a standard joke that people lie about their age anyway.) Film maker Zack Godshall of Baton Rouge, Louisiana shares his birthday on the 6th of December with a talented local Mr. Bell. Noam Chomsky was born December 7, 1928. On the 8th another talented man–jeweler, woodworker, designer and cook celebrates on a creek bank with a lovebird named Trixie and a splendid spouse. The 9th belongs to Skyline R2 School bookkeeper, Mrs. Karen. That is also the day to celebrate Kaye Johnston’s sweetheart. The 11th is for Bailey’s mom up in Portland, Oregon. Danielle Gorham is an 8th grade student at Skyline. Her birthday is on the 12th. The 13th is for Kennedy Hinote, a Skyline kindergarten student, and for Richard Green down in the Magic Rio Grande Valley. The 14th belongs to Zac Alexander’s dear old dad, for the much-missed comrade, Judy Ing, and for Spike Jones, who could gargle an aria with the best of them. Amanda Mastin up at the Honky Tonk Clothier in Springfield celebrates on the 16th, as does big time movie producer Jesse Ing out in Hollywood. Happy birthday all you people and get ready for a Merry Christmas. No lie–it is going to be a Champion Christmas! The fascinating full super moon shining out there helps to light up the many deer who decide to cross the highways and country lanes in front of oncoming vehicles. Daytime drivers along C Highway, and doubtlessly other routes, see the deer on the side of the road that were unsuccessful in their crossings. Dented fenders, hoods and worse show up in local body shops. The fact that it gets dark earlier these days does not keep people from having to go out at night to do things. Champions just start early and drive carefully. 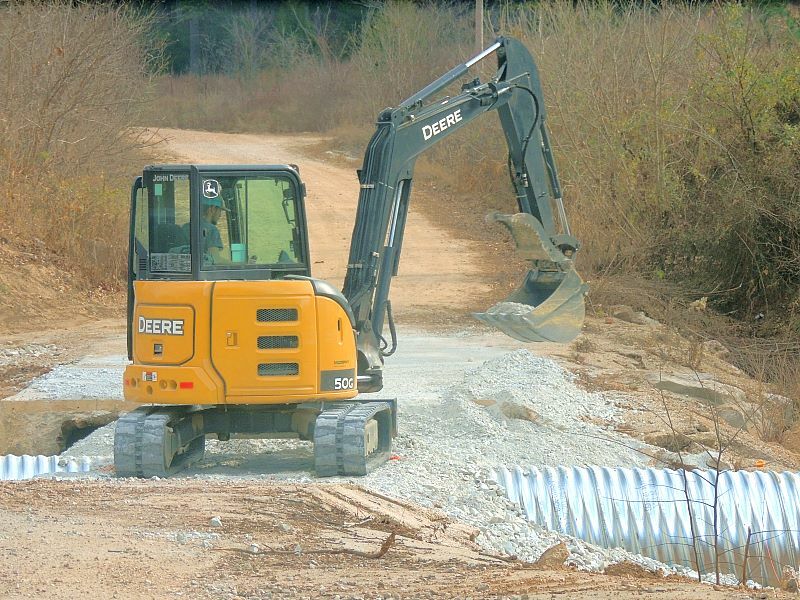 Work continues on the East Champion Fox Creek Bridge. As of Thursday the tinhorn was in place and a great deal of chat was arranged in such a way to allow for a good concrete pour. It will be exciting to get back that way to see what the fine fellows of Douglas County have wrought. If the draught continues there will hardly be a need for bridges anywhere. Dean Brixey was in the neighborhood Wednesday. He may know when it might have been this dry in the past—maybe in the 1950’s. It is a gift that ‘old timers’ (sorry, Dean) are willing to share their history and experiences in the place we enjoy so much today. He may well have come down to the Historic Emporium to get some of those beautiful Champion Christmas Cards or just on the hopes of running into old friends there. If you cannot make it over to the wide, wild, wooly banks of Auld Fox Creek, look at www.championnews.us for some vicarious enjoyment of one of the world’s truly beautiful places. Paul Harvey said, “In times like these it helps to recall there have always been times like these.” Will Rogers said, “The money was all appropriated for the top in the hopes that it would trickle down to the needy. Mr. Hoover didn’t know that money trickled up. Give it to the people at the bottom and the people at the top will have it before night, anyhow. But it will at least have passed through the poor fellow’s hands.” Another Old Champion recalls a similar quote from an earlier century: “If you feed your horse enough oats, some will pass through to feed the sparrow.” A song cheering the NRA (National Recovery Act—not the National Rifle Association) appears in an anthology of music called “Boom, Bust, and the New Deal.” “There’s a new day in view. There is gold in the blue. There is hope in the hearts of men. (86 45) From the plain to the hill, from the farm to the mill, for the road is open again” in Champion—Looking on the Bright Side!